This weekend was awesome! We took a much needed weekend vacation to Page, AZ. I have never been there before but it was gorgeous! The weather was perfect for the site seeing we did, sunny and high 70's to low 80's. We hiked through Waterholes Canyon, visited Horseshoe Bend, stopped by the Glen Canyon Dam, and it was even warm enough to take a dip in the non-heated outdoor pool at our hotel. I would highly recommend the trip to anyone! I'll make to sure to post a few of the photos I took sometime soon. Hope your weekend was equally great! 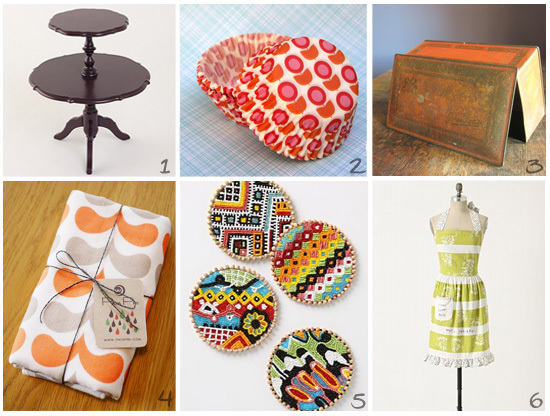 Here are this week's Fabulous Finds...my favorite being the "Two Tiery Table" from Urban Outfitters. It's currently on sale for 29.99 which is almost $50.00 off the regular price! It can be used in so many places, the bedroom, reading corner, dinning room, or wherever you need it!